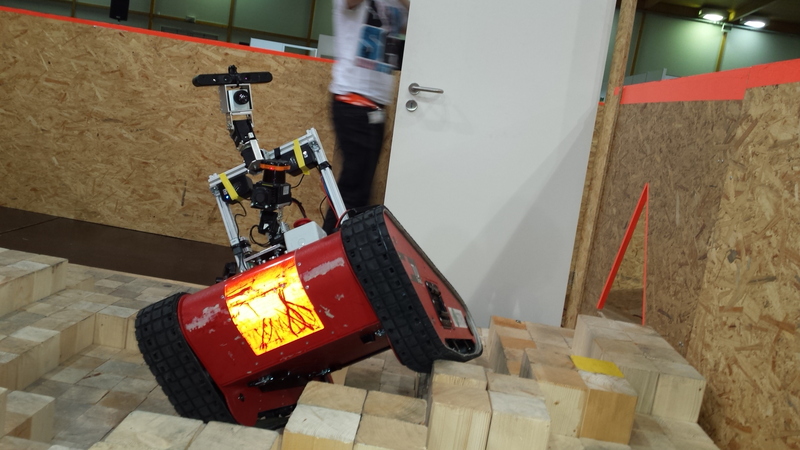 Yesterday, the exploration worked quite well, Wowbagger even tried to deal with the step field! (Looks dangerous, but Wowbagger was aware of the threat.) 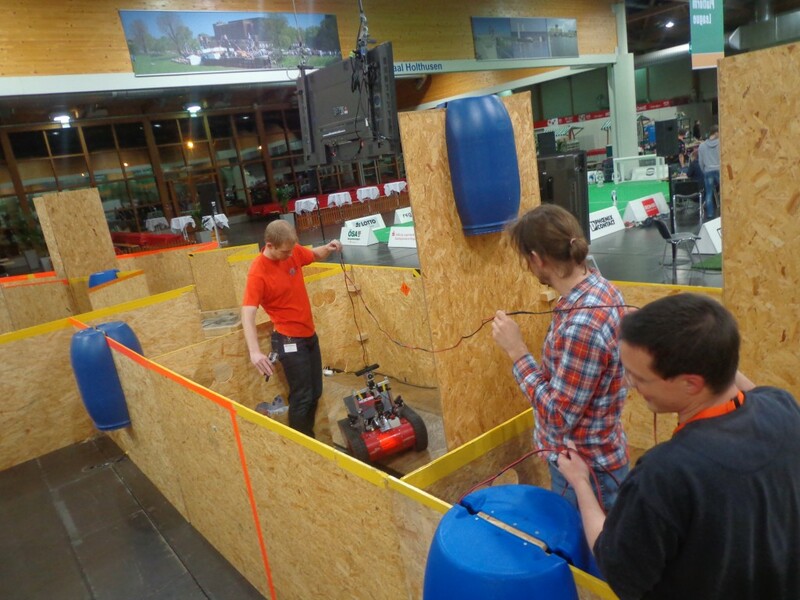 In one of the pictures, you can see how the team has somehow a hard time to test the robot (behind-the-scenes shot ). 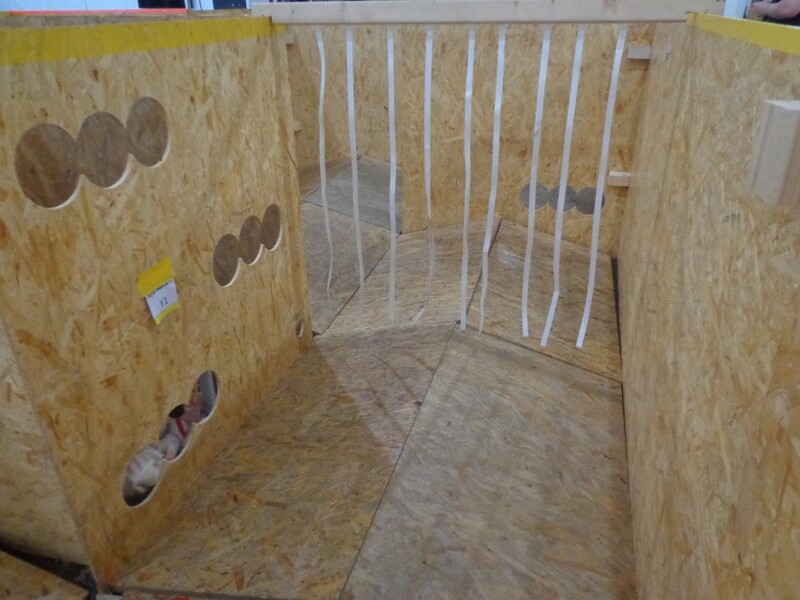 Remember the new soft and rigid obstacles? 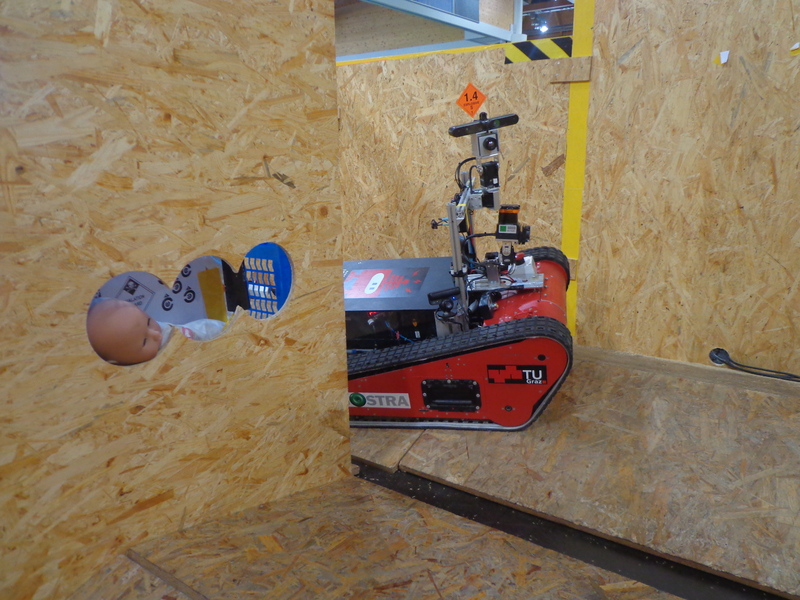 In one image, the soft obstacle can be seen with some white stripes hanging from above, trying to confuse the robot.